The latest flood of news and emails in from France, have alerted me to the fact that Claude Levi-Strauss, the acclaimed father of modern anthropology, has died at age 100. 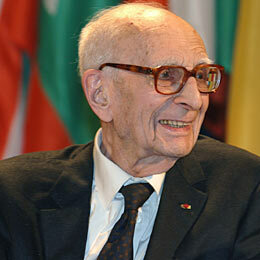 Of Jewish extract, born on Nov. 28, 1908, in Brussels, Belgium, Levi-Strauss was the son of French speaking parents. 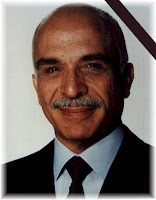 He brought attention to the commonalities existing between tribal and industrial societies while reshaping the entire field of anthropology. While documenting and mapping out the concept of structuralism with patterns of behavior and thought forms, Levi-Strauss started the intellectual trend of examining the underlying cause and archetype that lay behind every human and group action within the context of a system. Over six decades, Levi-Strauss authored literary and anthropological classics while working closely with the staff at the Academie Francaise. Levi-Strauss was acknowledged by academia with numerous honorary doctorates from universities including Harvard, Yale and Oxford, as well as universities in Sweden, Mexico and Canada. 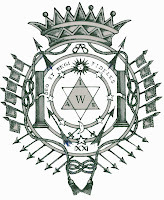 He was much quoted by Masonic academics and historians, attempting frame Masonic ritual in a societal and cultural context of relevance, in a struggle to understand the phenomena of Western initiatory societies.